just a quick post today. 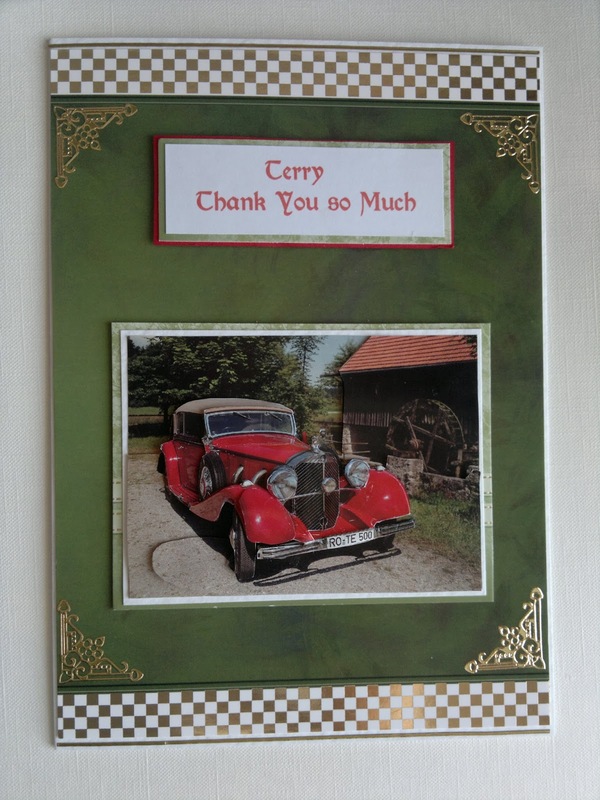 I made a couple of cards recently for a lady who was very thankful to a few people who looked after her husband and herself. The backing card is Hunkydory. The topper is from Le Suh. Topper is from Hunkydory Floral enchantment collection. Ribbon, doily, flowers etc from stash. This card was inspired by a card Yvonne tune sent me in a swap. I loved the colours and the way she put the flowers together. Enjoy the day yourselves and be thankful. These are gorgeous Kay, love the designs of both of them. Two gorgeous cards Kay. Love the simplicity of the first but the image and flowers are gorgeous in the second. 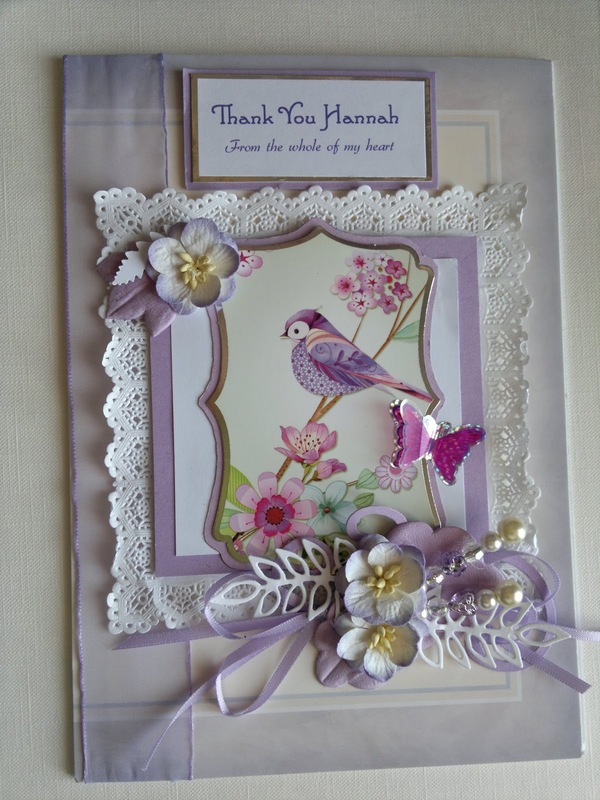 Hi Kay, love the cards especially the bird one. Aiveen. What wonderful cards. I have to admit, I love the pretty frilly one. Gorgeous layers, gorgeous embellishments and image.